Accounting software helps small businesses track profitability by organizing income and expenses, making it an essential bookkeeping tool to navigate through tax season. We researched, tested and compared dozens of accounting software products so that we could provide you with the best of the best. 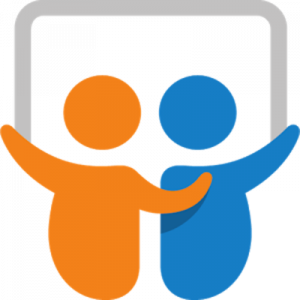 Free Small businesses that need a free option with a lot of features. 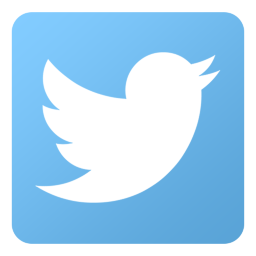 Small businesses that need a free option with a lot of features. Choosing the right accounting software for your business includes considering the cost, features included and any custom features your business may require. While QuickBooks will be a good option for many small businesses, some use cases and industries require an alternative to QuickBooks. Read on to learn more about the accounting software products we have evaluated. The best accounting software is affordable, easy to use and can perform basic bookkeeping tasks. At a minimum, you should be able to invoice customers, pay bills, reconcile bank/credit card accounts and generate detailed financial reports in an accounting software. The best accounting software overall is QuickBooks Online because it is ideal for any size business. If you are an independent contractor, QuickBooks Self Employed (QBSE) is ideal for you and if you have more than five users and multiple store locations QuickBooks Online Plus will work best for you. 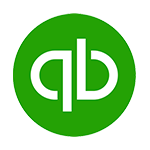 QBO goes beyond basic bookkeeping to include inventory tracking, budgeting/forecasting tools and a library of detailed financial reports. Like any software, there are affordable options and more pricier bookkeeping software products. The majority of cloud based accounting software includes three pricing tiers (low, mid and high). In most cases, the low tier plan will have the fewest features and the high priced plan will include all of the “bells and whistles”. When it comes to free accounting software, most of the free options on the market are very limited in features – Wave is the exception. Wave is packed with a lot of features such as giving unlimited users access to your data, at no cost. However, you cannot track and pay unpaid bills through Wave. Wave accounting software is ideal if you pay most of your expenses with a credit card or via online banking. You can connect bank and credit card accounts, invoice customers, add payroll and credit card processing for an additional fee and run detailed financial reports. 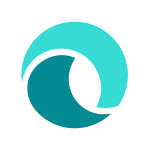 Sign up for your free Wave account to get your business up and running on Wave. As discussed, accounting software should include all of the basic accounting and bookkeeping requirements of a small business. The ability to invoice customers, pay bills, connect your bank and credit card accounts and run detailed reports are what I would call the minimum requirements. Depending on your business, inventory tracking and payroll processing might also be required if you sell products and have employees to pay. Every business needs the ability to track sales. An accounting software should allow you to keep track of sales by creating a sales receipt or an invoice. The software should also have an accounts receivable aging report so that you can stay on top of unpaid invoices. This will ensure that your cash flow remains positive and help you avoid sending a collection letter to your customer. The second most important aspect of running a business is keeping track of what you owe suppliers and vendors. However, if you pay most of your bills using online banking at your financial institution or with a credit card, you can use an accounting software like FreshBooks and Wave that do not have accounts payable functionality. Having the ability to connect your bank and credit card accounts to your bookkeeping software is imperative. You can save a ton of time by allowing transactions to automatically download into your accounting software so that you don’t have to manually enter them. Most bookkeeping software will sync with your financial institution on a daily basis so that you always have access to the most up-to-date information. Nowadays, many small businesses hire remote employees. If you have a bookkeeper or employee that needs to access your data remotely, then you must purchase a software that allows you to give other users access. However, if you are a solopreneur with no employees then you can get away with just one user access and provide your CPA or tax preparer with the reports they need to file your tax return. If you sell products, you need to be able to keep track of products that you buy and sell to customers. While you won’t find this feature in FreshBooks and Wave accounting software, most robust accounting software products like QuickBooks Online and Xero do allow you to track inventory. Most small businesses that are just starting out don’t have employees. However, it’s important for you to purchase an accounting software that includes an option to add payroll processing when are ready. QuickBooks accounting software and Wave accounting software have an integrated payroll service that you can add on by simply clicking a button. 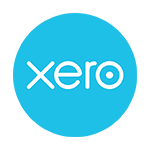 If you use Xero or FreshBooks you will sign up for Gusto payroll which integrates seamlessly with Xero, FreshBooks and QuickBooks Online. It’s not uncommon for a customer to forget to pay their invoice. The easier you can make it for your customers to pay you, the better. Similar to payroll processing, both QuickBooks Payments and Wave Payments are integrated into the software so you can easily turn on this feature when you are ready. FreshBooks and Xero accounting software also integrates with several credit card processors which you can select from their app marketplace. Any accounting software worth its salt will have detailed reports that will give you insight into various aspects of your business such as overall profit/loss and details on what your customers owe you (A/R) and what you owe to your vendor suppliers (A/P). Both QBO and Xero accounting software have all five reports, Wave accounting software has all but the A/P Aging report and FreshBooks is missing the Cash Flow Statement and A/P Aging report. Profit and Loss (Income Statement): summary of income, expenses and bottom line net profit (loss) for a specific period of time (e.g. 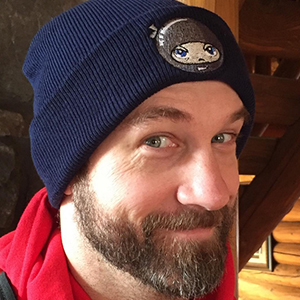 Jan 1 to Jan 31, 2019). Balance Sheet Report: summary of assets, liabilities and equity as of a point in time (e.g. January 31, 2019). Cash Flow Statement: summary of cash inflows and outflows categorized into three categories: operating, investing and financing activities. Accounts Receivable Aging Report: detailed list of unpaid invoices broken down by the number of days outstanding (e.g 1-30 days, 31-60 days, 61-90 days). Accounts Payable Aging Report: detailed list of unpaid bills broken down by the number of days past due (e.g. 1-30 days, 31-60 days, 61-90 days). One of the benefits of using cloud accounting software is the software will integrate with your bank/credit card accounts as well as hundreds of other apps. If you are using another program as your CRM and something else to keep track of your inventory, it’s a possibility that you can connect your accounting software to these apps and share information across programs. Integrations is necessary if you have software that you would like to integrate with the bookkeeping software that you choose. Having access to support when you need it is an important factor to consider when purchasing an accounting software. In my opinion, the option to speak to a live person should be available if you need it. QuickBooks Online and FreshBooks offer live customer support, Xero and Wave do not. All of the products on our list have an extensive help database and email support. While several companies that started out with accounting desktop software still offer it, like QuickBooks desktop, there are a number of desktop and cloud accounting software products that are customized to meet the needs of a specific industry. 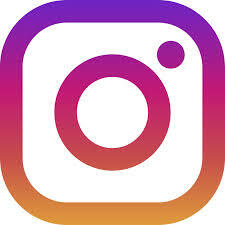 We recommend that you purchase a cloud accounting software so that you can access your data 24/7/365 from any mobile device or laptop with an internet connection. If you’re looking for specific types of accounting software that is customized for your industry niche, there are several products that you can choose from. If you are a contractor, real estate investor, own a restaurant or food truck business, run a nonprofit org, have a law firm or run a trucking company, we’ve created a guide that compares/contrasts the top software products for your industry! When it comes to doing the bookkeeping for a contractor business, there are a few unique items that you need to stay on top of. Job costing, estimating and subcontractor compliance are just a few of the features required. You can check out our best contractor accounting software guide to see price, features and small business accounting software user reviews of our top picks. An accounting software that allows a real estate investor or broker to separate their business and personal income and expenses is key. In addition, allocating income and expenses by property is another important feature for real estate companies. Head over to our best real estate accounting software guide to see price, features and small business accounting software reviews of our top real estate accounting software products. Access to up-to-date financial information is key in the restaurant business. With the ever changing costs of food and beverages, this information is critical when it comes to making decisions regarding what ingredients to order and which supplier to order them from. In our best restaurant accounting software guide, we break down the cost, features and small business accounting software reviews of our top picks. Nonprofit organizations need an accounting software that allows them to keep track of their income and expenses like any for profit business. However, they do have specific reporting requirements when it comes to the allocation of donor contributions, the way expenses are classified and more. In our best nonprofit accounting software guide, we breakdown cost, features and small business accounting software reviews of the nonprofit accounting software products at the top of their game. If you have a law firm, you need an accounting software that is going to help you keep track of client expenses and billing and that can do Trust (IOLTA) accounting so that you can stay compliant with the state bar. Our best law firm accounting software guide will help you to to select the right software for your law firm. It includes price, features and small business accounting software reviews of our top picks. If you are an independent owner and operator of a trucking company, you need the ability to track income and expenses for each load. In addition, you need to generate reports for each trip and provide information to be in compliance with IFTA (International Fuel Tax Agreement). In our best trucking accounting software guide, we break down cost, features and small business accounting software reviews of the best trucking accounting software on the market. Is My Accountant/Tax Professional Familiar With the Software? Unless you plan to do your own taxes, you should check with your tax preparer to see if they are familiar with the accounting software you plan to choose. It’s important to get this person on-board with your decision because it could save you time in the long run. If your tax professional is familiar with the software, you can give them access to your data so that they can get the information they need without bothering you. How Many Users Do I Need to Give Access To? It’s important to have a good idea of the number of users you need to give access to your data. This will have an impact on the cost of the accounting software that you choose. In general, the more users you need, the higher the cost. The two exceptions to this rule are Xero accounting software and Wave accounting software. Both Xero and Wave include unlimited users at no additional cost. Check out our Xero vs Wave guide to see how these products match-up. How Easy or Difficult Is It To Get Live Tech Support? One of the downsides to cloud accounting software is that it’s so easy to setup that many companies do not offer live customer support. In my opinion, this is a mistake. The option to speak with a human being should be available during normal business hours. 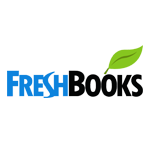 Both QuickBook Online and FreshBooks include free live technical support in all of their pricing plans. How Easy or Difficult Is It To Upgrade? Switching accounting software is like changing doctors, you don’t want to do it often. That’s why it’s important for you to think about where your business will be in the next three to five years. If you expect rapid growth, you need to select an accounting software that can scale easily and quickly. Upgrading should be as simple as a click of a button to a mid or top tier plan and all of your data remains intact. After reading this guide, you should have your decision narrowed down to one or two products. Get an idea of how other small business owners like yourself feel about the software products we have discussed by checking out our accounting software user reviews. Accounting software makes it easy for you to stay on top of your income and expenses so that you are better prepared for tax time. We chose QuickBooks Online as the best accounting software because it is easy to use, has a pricing plan most small businesses can afford and offers live customer support when you need it. QuickBooks Online can also scale with your business so when you hire that first employee you can add payroll processing with the push of a button. In addition, if you decide to expand your business to selling products you can upgrade to QuickBooks Online Plus in just a matter of minutes and all of your data will remain intact, no complicated conversion plan required. We’ve scouted the web for accounting influencers with a robust social media presence and put together the list below of the top accounting influencers of 2019. Our goal for this list is to present helpful accounting tips to small business owners right from the accounting experts themselves. We found that the accounting influencers listed have outstanding credentials, expertise, and skills pertaining to the accounting industry, as well as an impressive quantity of social media followers. What is your top accounting tip? A strong accountant/bookkeeper should feel like part of your leadership team. Lean in to their expertise. Also, never be afraid to communicate – what is working, what is not working, and what you need in order to make better decisions for your business. 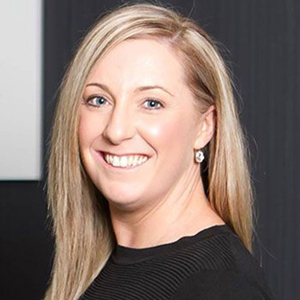 Rachel joined Sage as Accountants Group Leader in 2017 with over 20 years of experience in bookkeeping and accounting, working her way up to Corporate Controller in industry, owning her own practice for 5 years, and most recently was National Bookkeeping Lead for Deloitte. She’s an ambassador for Bookkeepers and Accountants who are successfully building their businesses in the cloud. Get in the cloud! Having the right cloud software can help you be more efficient (do your expenses while waiting for your coffee), get paid faster (send that invoice on the go and get paid online), and get instant insights (who are your nearby customers that you should see? What’s your most profitable product?). 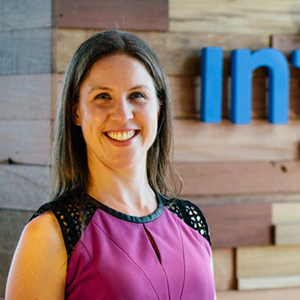 Nicolette Maury is Vice President and Country Manager of Intuit Australia, responsible for leading Intuit’s rapidly expanding presence in Australia. 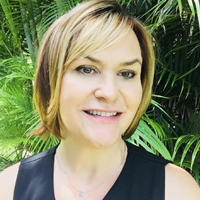 In this role, Nicolette heads a fast-growing sales, marketing and customer care team to deliver dynamic business management solutions to small businesses and their financial advisors, along with world class customer support. She holds an MBA from the Australian Graduate School of Management and a Bachelor of Science degree in industrial chemistry from the University of New South Wales. One of the biggest problems that business owners have is keeping track of business income and expenses. There are a number of really cost effective bookkeeping applications that can simplify tracking income and expenses. Over the course of a year, you are going to lose track of receipts and forget what expenditures are for, so invest the effort in using some of the accounting tools available to simplify the record keeping process. 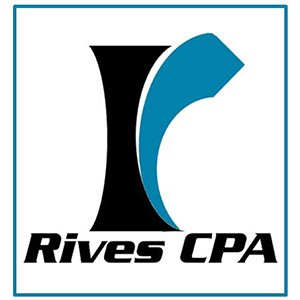 Wray Rives is a Certified Public Accountant and Chartered Global Management Accountant. 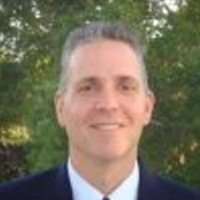 He is the owner of a public accounting firm in the Dallas-Fort Worth area and he has over 20 years experience in the public accounting industry working with market leading companies. Wray is a member of the American Institute of CPA’s and the Texas Society of CPA’s where he serves on the Professional Ethics and Relationship with the IRS Committees. Does your accountant care about your business? If you aren’t sure, it means they DON’T!. If your accountant is simply working on history and not adding value to your business it’s time to think about change. The accounting industry is changing and growing rapidly, and your best partner in business is a progressive and innovative accountant that embraces this change and moves your business forward. Small business should see their accounting professionals embracing technology, providing better customer service and offers increased transparency. 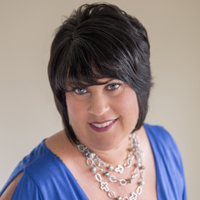 Debbie is a skilled Business Coach and Sales Operations Manager with Digital Marketing experience. She has strong operational, organisational and customer services skills and she loves being part of a team that works toward a common goal. 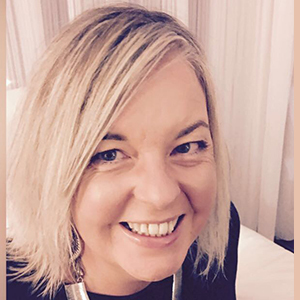 As an enthusiastic relationship manager, she thrives on meeting and working with people, supporting and encouraging them to achieve their best. Decide on a tightly defined ideal client and position your firm’s marketing and services so they closely align with your ideal client. A tightly defined ideal client is not ‘local small businesses who pay my bills on time’. It will be far more niche than this. Having a clear target market is the best way to win higher fees and generate more leads of the type you want to win. Heather Townsend is the author and founder of The Accountants Millionaires’ Club. 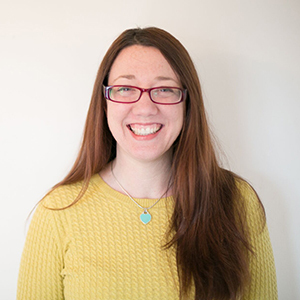 She is the award-winning author of 5 books and gets a real buzz from helping small accountancy firm owners from growing their business while working fewer hours with less stress. As a small business owner, it’s essential to be educated about all of the tax credits and deductions that are available to you. You should also make it a priority to set up internal anti-fraud procedures to prevent fraud from occurring in your business. 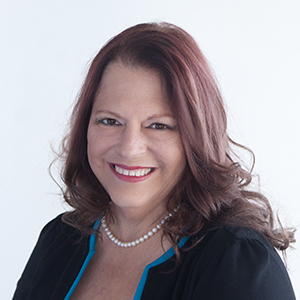 As the Director of Marketing at Goldin Peiser & Peiser, LLP, Janis is the “go to” person for all publicity, marketing, branding and social media needs. She keeps GPP in the public eye by publishing weekly blogs and daily tweets and posts on LinkedIn and Facebook that are of interest to clients in particular and the public in general. Janis has been at GPP since 2011. Be ready to spend good money on accounting fees. The businesses who do this hit their goals and targets – and they do it years ahead of those who do not invest in a good accountant. Accounting isn’t a grudge buy: when done right, it’s core to everything you do, and every success you achieve. Karen combines two skills that are rarely seen together: a qualification in accounting, and a creative mindset. She combines these skills in her founding of The Profitable Firm, a creative agency working exclusively with accountants all over the world. She is a dual British-American citizen whose ambition is fuelled by strong black coffee, strong faith, and daily walks. Never confuse trust with proper oversight of your business finances. Never share sensitive passwords or access to your bank accounts with a “trusted” employee or bookkeeper. That’s a recipe for trouble! As the owner of your business, you should always be in control of your company’s money. Veronica is a CPA, a Top 10 QuickBooks ProAdvisor, a certified Advanced QuickBooks ProAdvisor, a member of the Intuit Trainer Writer Network, and served on Intuit’s Accountant and Advisor Customer Council 2016-2017. She is also passionate about sharing her knowledge with other accounting professionals and blogs at 5MinuteBookkeeping.com. Her blog has been named the #1 bookkeeping blog and a top business and accounting blog. Embrace diversity in everything you do – in your hiring, in your thinking, and when evaluating a decision or new business line. Embracing the different voices and thoughts will help you uncover aspects and considerations that you would not have come to on your own. The numbers are only part of the story – when you have a big decision to make, use all the assets and opinions available to you to help see ALL angles to the issue and make the best decision overall. When you use your own vehicle for business journeys keep a record of each business trip at the time you make the journey. There are lots of apps you can to use for this, or simply use notepad and pencil. If you guess the miles driven later you will probably underestimate the number of journeys or the distance travelled. Each forgotten journey will cost you 45p per mile, or 25p per mile when you drive over 10,000 business miles in the year. HMRC often challenge traders who have high business mileage, but they can’t argue with a contemporaneous record. 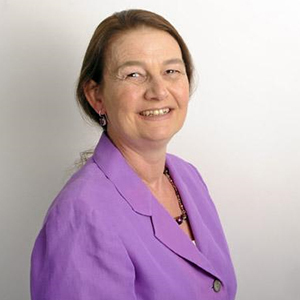 Rebecca Cave CTA FCA MBA qualified as a chartered accountant with KPMG in Norwich and as a chartered tax adviser while working for Robson Rhodes in Cambridge. Her primary role is now as consultant tax editor at AccountingWEB. 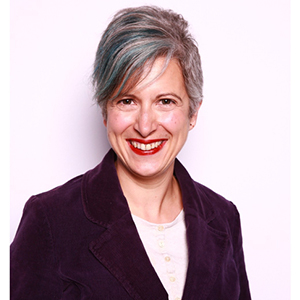 She also writes newsletters for various publishers and is the co-author of the Capital Gains Tax annual and Bloomsbury’s Tax Rates and Tables, both published by Bloomsbury Professional. Don’t be skeptical of the growing shift to digital services. The transition to more automation is appearing in the accounting sector, too, and can make the services more efficient. That said, look for an accountant who understands what can be done digitally and when he or she needs to provide face-to-face, personal financial and tax guidance. No technology will replace a human who understands your money and business needs. 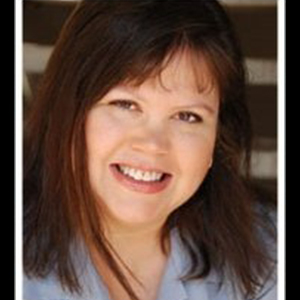 Kay Bell is an award-winning personal finance journalist, author and creator of the popular Don’t Mess With Taxes blog. She has been writing specifically about taxes for two decades. Her down-to-earth style helps translate complicated tax talk into plain English. Accounting and Tax services are more relational than technical. Don’t just pick the first CPA you come across. Sit down with them and interview them. If you get the feeling that they don’t care and you’re wasting their time – move on until you find a good fit for you and your business. If your CPA (or any professional service provider) intimidates you and makes you scared to ask questions, find someone else. Jeff Elliott is a Licensed CPA in the state of Kansas with a wife and 8 (soon to be 9) formerly-deductible dependency exemptions. He is a small business owner and has helped CPA Candidates Pass the CPA Exam with his website – another71.com – full time since 2010. Work with an accountant that you like and that is proactive about advising you on things like cash flow, pricing, profitability, and even revenue growth. Not all accountants will provide this, but the ones who do will be true business partners with you on your entrepreneurial journey. 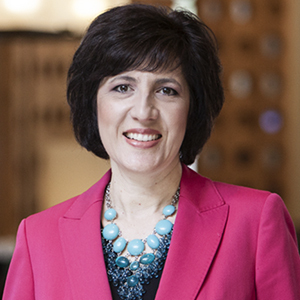 Sandi Smith Leyva, CPA, CMA, MBA, and founder of Accountant’s Accelerator, has helped thousands of accountants in 7+ countries earn more, work less, and serve their clients better through her innovative marketing and training services. She has written 30 books, presented over 800 speeches, and won 9 thought leader awards. Hindsight, insight and foresight are required for innovation along with the right leadership and culture. Remember, most innovation starts as a bad idea, especially to those it will disrupt and cause change. Utilize an innovation manager to prove the concept, then focus on who can make the idea scale and grow within your firm or company. Leading entrepreneurs think “who” rather than “how” when it comes to transformation. 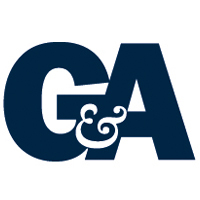 Gary is the founder and Dot Connector at Boomer Consulting, Inc., an organization that provides consulting services, education and peer communities to leading accounting firms. He has also chaired the IT Executive and Live Insurance Disability Plans Committees at the AICPA in addition to serving on the AICPA Council multiple terms and the Visioning Team. His hobbies include water sports, college athletics and reading. When Congress enacted the Tax Cuts and Jobs Act (TCJA) in December 2017, it has had a major impact on all small business. Have you proactively spoke with your accountant regarding your situation? You should also speak with your accountant at least a few times a year, not just at tax time. Jody is one of the accounting profession’s foremost visionaries and pioneers. 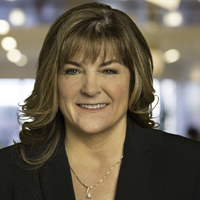 Consistently named as one of the Top 100 Most Influential to the Profession by Accounting Today, Jody has led the transition of the next-generation public accounting firms through open collaboration and change management. She is the author of From Success to Significance: The Radical CPA Guide and The Radical CPA: New Rules for the Future-Ready Firm and is CEO and principal of New Vision CPA Group in Chicago. Interview your accountant before you choose them – they are going to know intimate details of your business and life make sure they are someone you feel comfortable working with. Make sure they know their stuff – if you use particular software make sure your accountant understands it too, or is willing to learn it. Kathryn is a tax, tech and accounting geek. She loves helping small businesses get their compliance sorted and make their business record keeping easier. That gives them less stress and more time to spend growing their business. Don’t get stuck on location — your accountant can easily work with you from anywhere. We tend to feel more comfortable hiring accountants in our back yard, but with today’s technology, your accountant doesn’t have to be in your city or state. Many of the accounting firms that I consult with utilize video conferencing to communicate with their clients. That way, whether you are near or far, you can maintain that personal relationship and have your accountant offer demonstrations or training remotely when you need it. Amy Vetter is an accomplished keynote speaker, CPA and business executive who frequently contributes her insights to Inc. and Entrepreneur.com. Amy brings her unique perspective as a CPA and Yogi, who specializes in Technology Innovation to the book she authored, Business, Balance & Bliss: How the B3 Method Can Transform Your Career and Life. For sole traders and other business people, tax time can be a shock to the system if you have not been putting some money aside on a regular basis. I like to estimate my profit for the next year, then calculate a rough tax bill I expect to pay, and then set up auto payments (into a savings account) of a set amount each week. That way I can sleep easy knowing I have some ‘savings’ for tax time! 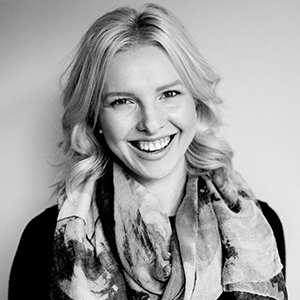 Lauren is a Chartered Accountant on a mission to educate, empower and motivate creative small business owners to be more organised, more informed, and more profitable. 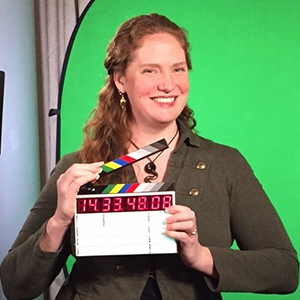 If you are ready to dive a little deeper and want to learn more about accounting and tax, then Lauren’s online courses on The Real Thiel will help you learn further information. Do not be scared to take deductions if you are legally entitled to them, but also ensure you have the appropriate documentation and evidence to support those deductions. Examples might include the home office, auto deductions and entertainment. 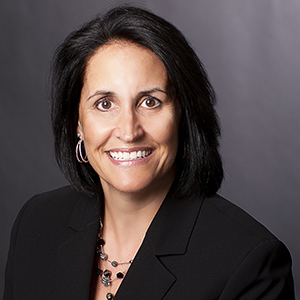 Gail is the Shareholder in Charge of the Somerset office at Wilkin & Guttenplan. Gail founded and managed Gail Rosen CPA PC for 34 years, until she merged her firm with Wilkin & Guttenplan in 2017. She specializes in tax and accounting services for closely-held businesses, real estate, professional firms and individuals. It may be beneficial for taxpayers with higher taxable incomes (TI) in non-corporate businesses that are not specified service businesses to restructure as an S corporation. This will help to take advantage of the wage limitation allowing them a 199A deduction above the TI thresholds. 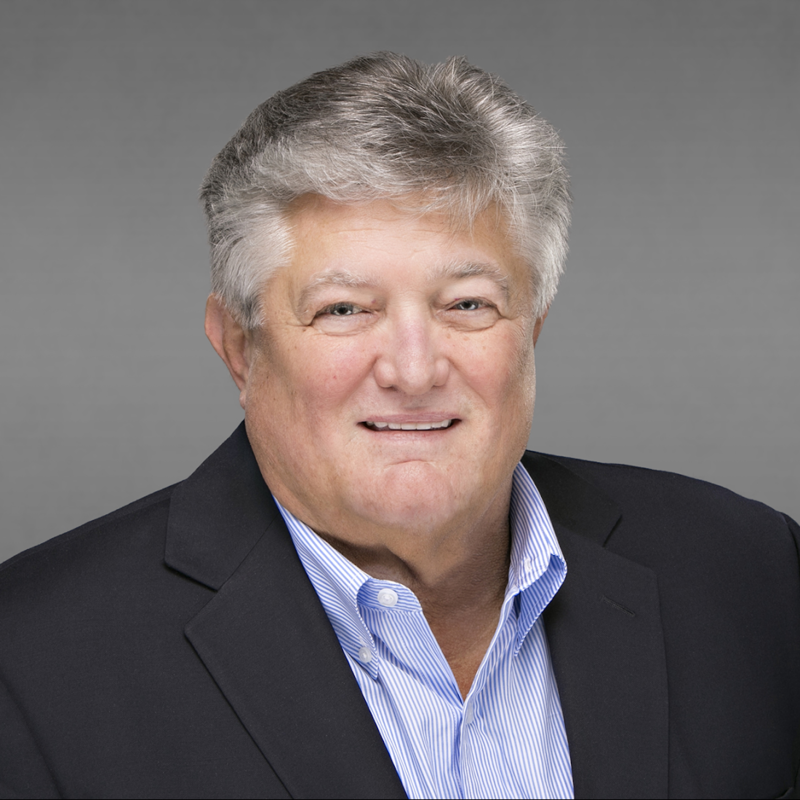 Lee T. Reams Sr., BSME, EA, is a major stockholder and Chief Content Officer for TaxBuzz and CountingWorks, is known as “Popcorn Head” with his many ideas on product development. In addition to being an expert on individual taxation and a leading speaker on tax-related topics, Lee has had experience in managing his own 700+ client tax practice. 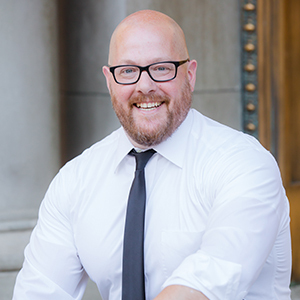 Lee has served on numerous professional boards, including California Tax Education Council, California State Enrolled Agent Society and the San Fernando Valley Society of Enrolled Agents. You are a specialist in the products and services you sell. You don’t need to be good at everything! It’s important to learn to delegate the parts you don’t enjoy from a confident mindset, rather than abdicating responsibility because you feel out of control. The right accounting professional will advise and empower you to make educated business decisions using proactive strategy. If that isn’t your experience so far, you have other professionals to choose from! Ingrid Edstrom is the Priestess of Profits at the award winning bookkeeping firm, Polymath LLC. She has been recognized as one of the accounting profession’s Top 40 Under 40, Most Powerful Women in Accounting, and the 2017 Top “Up-N-Comer” ProAdvisor. Ingrid is the creator the AskABookkeeper.com online education series, a member of the Intuit Trainer/Writer Network, and leader of the Southern Oregon Woodard Group. Selecting the right type of entity (sole proprietor, LLC, partnership, S-Corp, etc.) can make a huge difference in both liability and taxation issues. It’s important to understand the rules of the entity type you choose — for example, if you’re an S-Corp, pay yourself “reasonable compensation” via payroll; it’s the law. With the changes in the new tax law, this piece of the puzzle has become even more complex and more important. 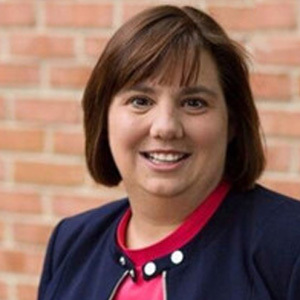 Nancy McClelland is a CPA and owner of The Dancing Accountant, an accounting and bookkeeping firm in Chicago focused on independently-owned businesses. Passionate about both personal relationships and accounting technology, she attends, speaks — and sometimes dances — at conferences across the country. She writes an award-winning blog at www.thedancingaccountant.com. Refuse to pay by the hour for accounting services. Ask for a fixed fee arrangement that doesn’t cost you extra for phone calls. In addition, never keep your books on a tax basis. Design your books for your own managerial needs and for better decision making. Geni Whitehouse, CPA divides her time between working as a winery consultant at Brotemarkle, Davis & Co in the Napa Valley, working with Mentor Plus to drive the accounting profession forward, and writing, speaking, and tweeting at EvenANerd.com. 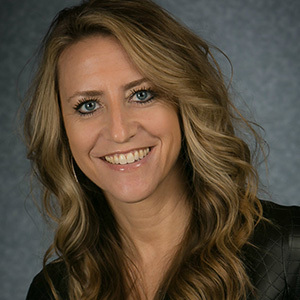 She is a regular keynote presenter at CPA and Technology conferences around the country and has been named a Top 100 Influencer by Accounting Today, one of 25 Thought Leaders in Accounting, and one of the 25 Most Powerful Women in Accounting by CPA Practice Advisor. She was also a speaker at TEDxNapaValley in 2011 and is the author of How to Make a Boring Subject Interesting: 52 ways even a nerd can be heard. An accounting professional should be a trusted advisor who has your best interests at heart. He or she will have the experience, education and point of view that will support your goals. When you interview a professional, ask about their clients, the size, the industry and what they like and don’t like about working with they have. Share a little about your goals for your business and then ask your advisor about his or her goals. You should have a feeling by then whether this relationship will be a good fit for you and your business. Diane Kennedy, CPA is the New York Times best-selling author of 9 books, including “Loopholes of the Rich” and “Real Estate Loopholes.” She is the past Nevada State Entrepreneur of the Year and has spoken to groups as large as 10,000 discussing tax strategies that anyone can use to legally pay less tax. Her CPA practice is completely virtual with CPAs working in 4 countries who work exclusively with small businesses, their owners and real estate investors. You can ask your accountant about more than accounting and tax. 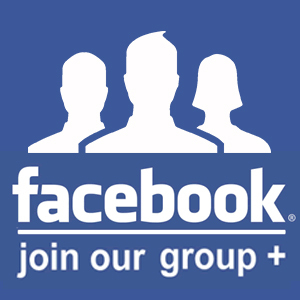 They have very broad business backgrounds and significant networks. They will be able to help you with almost anything, even if by referring you to one of their contacts! 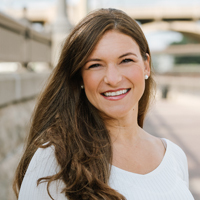 Jennifer is co-founder and partner of ConvergenceCoaching, LLC, a national consulting firm that helps leaders achieve success. Named as one of Accounting Today’s 100 Most Influential People in Accounting, INSIDE Public Accounting’s Top 10 Most Recommended Consultants, and CPA Practice Advisors’ Top 25 Thought Leaders and Top 25 Most Powerful Women in Accounting, Jennifer is an experienced change agent who has worked in both public accounting and industry. 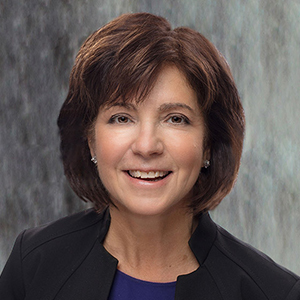 She is a frequent speaker, writer and thought leader on topics related to leadership, the rise of the next generation and managing change within the CPA profession. Screw around more at work. If you have real fun at work (not BS Hawaiian shirt day fake fun), you’ll improve everyone’s life: yours, your staff’s, and your customers’. 2019 Top Accounting Consultants in the U.S.
Searching for a new accounting firm? Seeking out a top accounting consultant for your small business? If so, you’re in luck! We’ve scoured the web for quality accounting consultants located in various regions, and put together the list below of the top accounting consultants in the U.S.
Our goal for this list is to inform small business owners about helpful accounting consultants that they can work with to strengthen their business. We found that the consultants listed have outstanding expertise, services, and credentials in the accounting industry. VARC Solutions is an award-winning QuickBooks and QuickBase consultancy, having been in business for almost 20 years. Our guiding tenet is to help our clients become self-sufficient, hence our desire to train them, rather than just take a task an do it for them. Over the years, we have worked with thousands of clients, helping them with many types of needs. Some of them, after many years still have us do all of their bookkeeping, while others call from time to time to ask a question and then we do not hear from them for months. VARC Solutions has been named Intuit’s Partner of the year and won their Bonnie Nagayama award in 2017 for community service in the wake of Hurricane Harvey. 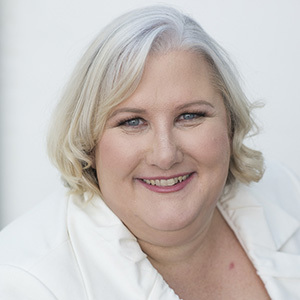 Robin Hall started VARC Solutions in 1999 as a one-woman bookkeeping company, and has grown the company to an operation servicing clients across the country in many areas of business finance. When she started VARC Solutions, Robin set out to just help clients with their bookkeeping. However, as she saw the needs of her clients change, she was able to offer them additional services. Over the years, VARC Solutions has increased its offerings from client bookkeeping to encompass many aspects of B2B consulting; helping clients more efficiently run their business operations. One of our core goals is to assist with accounting, bookkeeping and tax preparation, so business owners can spend their creative energies on what brought them to start their businesses in the first place and help reconnect with the joy that came from it. We also find ways to bring efficiencies into processes, so they gain back valuable, precious time with their families and friends. At Brilliant Solutions Group, we have an array of options to assist small businesses, i.e. 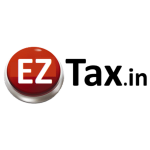 entity choice, set up, daily to monthly bookkeeping and review, payroll, effective financial reporting, insightful reviews, and tax preparation to help businesses manage their hard earned resources. 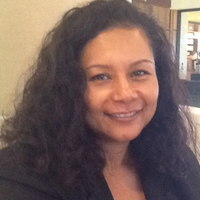 Terumi Echols has an MBA in Accounting and 25 years experience in accounting, tax preparation, and marketing. She understands both sides of the business—the need for creativity and the musts behind financial accountability. 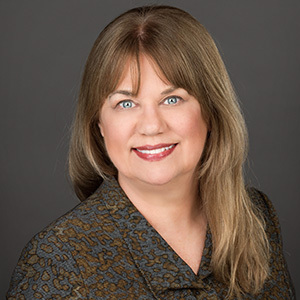 She is an Advanced Certified QuickBooks ProAdvisor and Intuit Advanced Solutions Provider, so she can set up the essential tools required to properly manage business activities and financial reporting and easily speak into hows and whys that are revealed through those reports. Jud Whidden Consulting, Inc. provides Bookkeeping, Accounting, and Business Advisory services to small, emerging, and midsize companies. We can perform all aspects of the Accounting and Finance function to meet all your financial management needs. 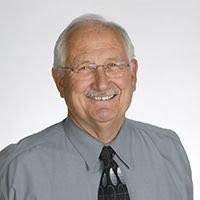 Jud Whidden has 30 years of professional accounting, finance, and business analysis experience working in management positions with Wyndham Vacation Ownership (13 years) and Alamo-Rent-A-Car (8 years) including Vice President of Accounting, Director of Corporate Planning and Analysis, and Assistant Controller prior to starting his own company in 2009 to serve small, emerging, and midsize businesses. Business Services & Outsourcing is the business line with in BDO USA LLP. We are part of the Advisory practice for the firm. The team is innovative and forward thinking. We established a service offering that lends itself to the success of clients. BDO Drive is a unique, scalable combination of professional and technological resources that allow an owner to run their business more productively, more effectively and more strategically. It delivers critical information when and where you need it, and includes the following features: experienced professionals, expansive resources, and cloud technology. Deborah is part of the leadership team for the Business Service and Outsourcing practice within BDO. She co-leads the technology team. She spends a great deal of time working with vendors to find the best solutions for our clients. As well, she has the opportunity to work directly with clients to build the solutions that assists in making their business successful. Diversified Business Solutions is an award-winning provider of Intuit business software and services. Our team of accounting and finance experts are dedicated to the idea that small business owners need stress-free financial support that allows them to be creative and focus on those things that make their business unique. We are an Intuit Premier Reseller which allows us to expand our business and open doors to new clients by partnering with a leader in small business solutions. 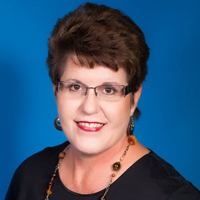 Beverly Lang offers more than 20 years of experience assisting business owners, managers and bookkeepers with their accounting and bookkeeping, as well as teaching bookkeeping, accounting and QuickBooks classes, webinars and seminars throughout the southeastern region of the United States. 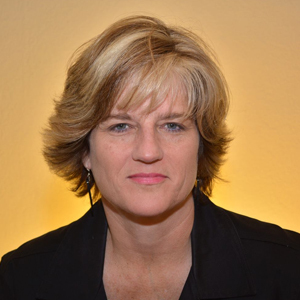 A former corporate controller, Beverly founded Diversified Business Solutions in 2008. Today, Diversified Business Solutions is recognized by Intuit as one of only a select few Intuit Premier Resellers authorized to sell and implement Intuit products at the lowest possible prices. 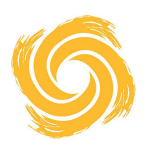 Founded by Jamie Pollock and Alicia Katz Pollock, Royalwise is an Apple, Microsoft, and QuickBooks-certified computer training and support company. With over 30 years experience, Royalwise sets itself apart from others with our live classes and webinars, video library, and personalized training. We customize your training to fit the way you learn, and give you the tools to meet your goals. Our goal is always to teach you enough that you will be able to do it yourself next time. And if you do not want to learn how, we are here to do it for you. 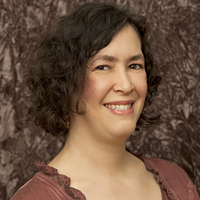 Alicia Katz Pollock is a member of the Intuit Trainer/Writer Network. Her Master of Arts in Teaching ensures that she can explain and teach just about anything to just about anybody. She has a QBO best-selling available on Amazon.com, and a Mentorship Membership program at Learn QBO. The thing that sets us apart from other bookkeeping firms is service is we believe in keeping an ongoing dialog with our clients. It is important to work one-on-one with them. Our market is with the small business owner and we normally deal directly with them. These businesses do not have a large staff. Since bookkeeping is more of a service of what has happened in the past, we feel that it is important to work with the clients on more of an advisory nature where we help them to grow and plan for the future. Lynda is originally from Rhode Island and started her business as a part-time venture and it quickly grew to a full-time job. They moved to SW Florida which has always felt like home to her. She joined a local yoga studio, became passionate about yoga and then became a yoga teacher which is a perfect balance from her “big girl job”. 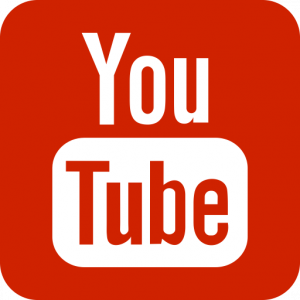 Graber and Associates is a small CPA firm that has always focused on technology to enhance our Client Experience. Since our establishment in 1993 our firm has used software and technology that is sold to larger firms. This way our clients have the knowledge that they are truly receiving “big firm” products and services. Steven J. Graber, CPA, MS is the principal of Graber & Associates, Certified Public Accountancy. During his career as a Certified Public Accountant, Mr. Graber has built a reputation as an expert in tax and business consulting for self-employed businesses and owners of closely held corporations. He has been engaged in extensive tax research, tax planning and tax law compliance for over 25 years. Mr. Graber is skilled in dealing with Federal, State and local tax authorities. Nitram Financial Solutions is a cloud based business growth advisory firm that delivers profitability and cash management solutions. We provide outsourced accounting, bookkeeping and consulting services for creative thinkers who like to work hard and play hard. Using cloud based applications, we show you how technology plus productivity equals profitability, so you can thrive financially in life and in business. We get to know you, not just your business. 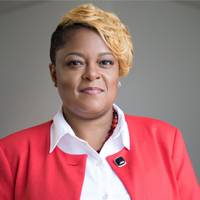 Sherrell T Martin is the founder and Chief Financial Solutions Officer of Nitram Financial Solutions. 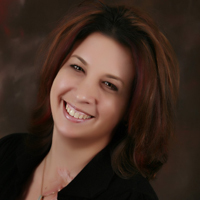 She is a Advanced Certified Quickbooks ProAdvisor and member of the Intuit Trainer Writer Network. When she is not helping client increase their cash flow and profitability, she is enjoying time with her daughters being a dance mom. 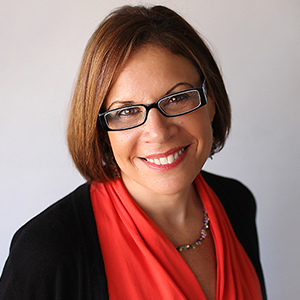 Carrie Kahn has been supporting QuickBooks for over 25 years. 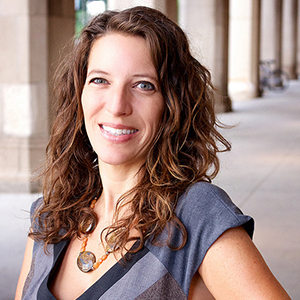 In 2015 she launched the Complete Business Partner Program mentoring ProAdvisors. She is very involved in the QuickBooks community providing extensive resources for Accountex, Scaling New Heights, CPA Academy, Intuit’s Firm of the Future and CBG Blog. Any accountant can crunch the numbers, but we are focused on providing timely, strategic advice that will bring our clients more success. 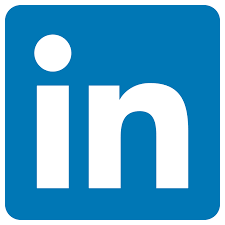 We seek to be a trusted business advisor to our clients. We are small enough to provide a personal experience, but large enough to serve our clients with depth of knowledge in several areas. Jayme Shuda works in the client accounting advisory services team. She works with small to medium sized businesses, assisting them with setup and customization of Quickbooks to better meet the reporting needs of the business, from a compliance perspective, but, more importantly, from a business management perspective. She assists their clients to setup an efficient system to gather the important financial information they need in order to make business decisions. She helps her clients to understand their business better so that they can make more money. ACS, Inc is an Intuit Solution Provider offering software sales and consulting for the QuickBooks accounting software. 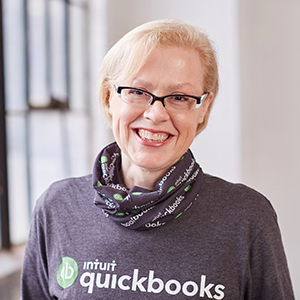 For over 25 years, Laura has been teaching, writing technical books and articles, and creating self-paced training videos about QuickBooks for the growing business. We are known for our commitment to excellence when helping our client’s efficiently and accurately manage their accounting processes. 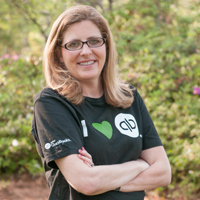 Laura has earned the recognition of being included in the Top 10 and Top 100 QuickBooks ProAdvisors for multiple years. 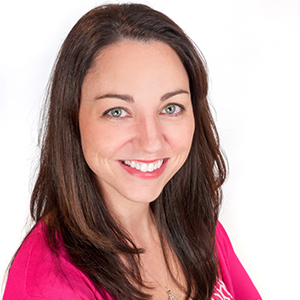 Laura is one of the original members of the elite Intuit Trainer/Writer Network. She has been a guest speaker for Intuit for many years. She was also a founding member of the Intuit Customer Advisory Council. Laura is an Advanced QuickBooks Certified, Advanced QuickBooks Online Certified, Enterprise and Point of Sale Certified. We work with small business owners to provide clarity of your businesses financial picture. We are a tech-savvy firm that allows us more time to provide advice and frees you up to focus on growing your business. 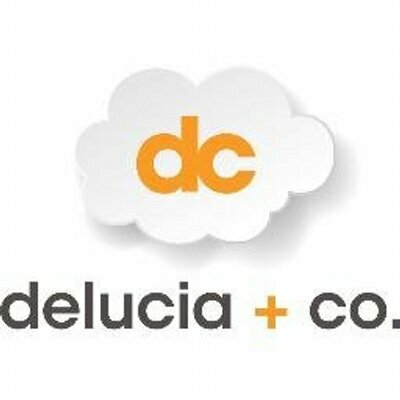 Michael De Lucia is both a Certified Financial Planner™ and Certified Public Accountant that focuses on the needs of small business owners. He focuses his time on helping entrepreneurs have a better understanding of their business finances and keeping more of what they earn by focusing on lowering their tax burden.